Tulane football (1-3, 0-1 AAC) lost 47-13 against Duke (4-0) Saturday at Wallace Wade Stadium in Durham, North Carolina. The Wave trailed Duke 19-7 at the half, as Duke recorded 227 yards of offense, forced 2 Tulane turnovers and a safety. The Green Wave never took the lead over Duke. The team committed 5 turnovers and 13 penalties in the loss. Duke converted the turnovers into 26 points to remain undefeated on the season. Six different Duke players scored touchdowns, as the team continues its best start to a season in 20 years. Duke senior quarterback Anthony Boone completed 15 of his 27 passes for 181 yards and rushed 10 times for 42 yards. Boone was Duke’s only player with double-digit carries. Lazedrick Thompson carried 19 times for a game high of 124 yards and a touchdown for the Green Wave. Tulane’s offense struggled against Duke as game progressed. Redshirt quarterback Tanner Lee completed 14 of 35 passes for 160 yards and 3 interceptions. The Green Wave’s special teams struggled mightily against the Blue Devils then entire day. Despite the erratic day for the offense, sophomore linebacker Nico Marley led Tulane with a career-high 12 tackles and a forced fumble. Senior safety Sam Scofield added 7 tackles, 1 interception and a fumble recovery. Freshman running back Dontrell Hilliard notched his first career touchdown on a five-yard rush early in the first quarter to tie the game at 7. 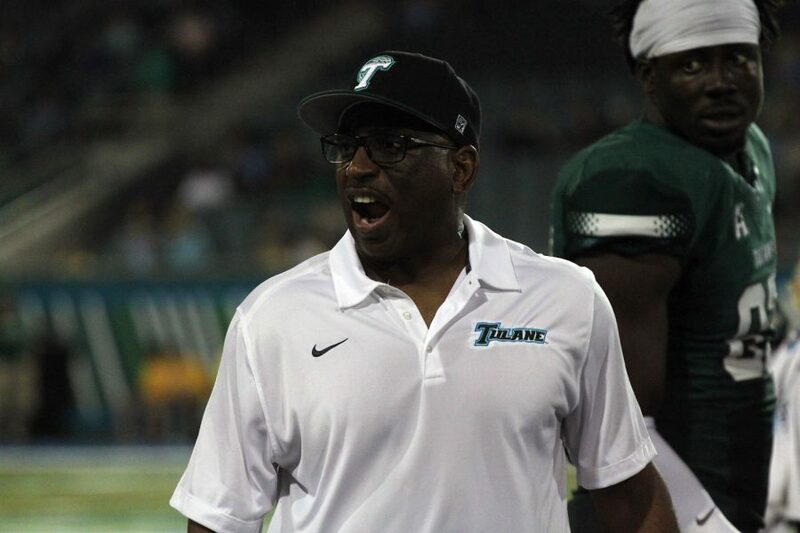 Tulane next plays Rutgers Saturday in Piscataway, New Jersey.